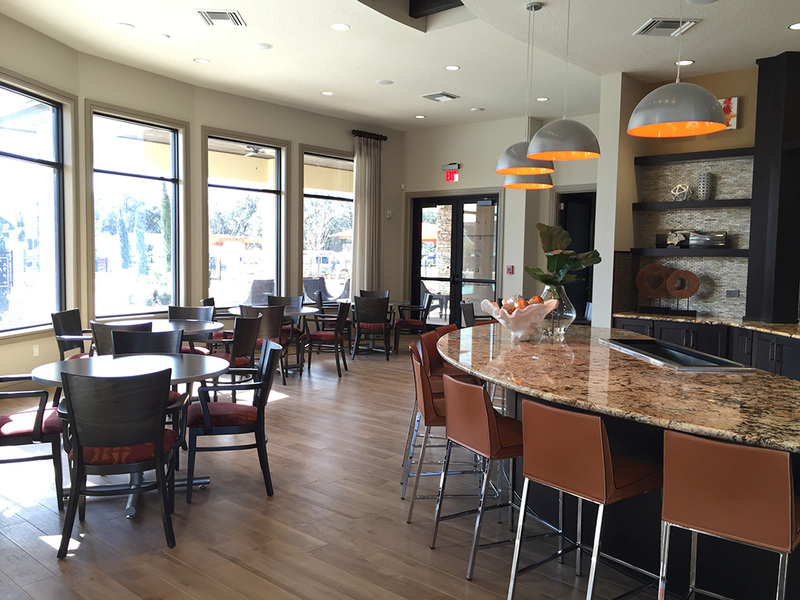 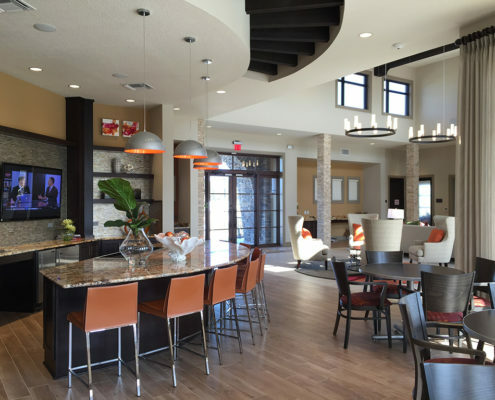 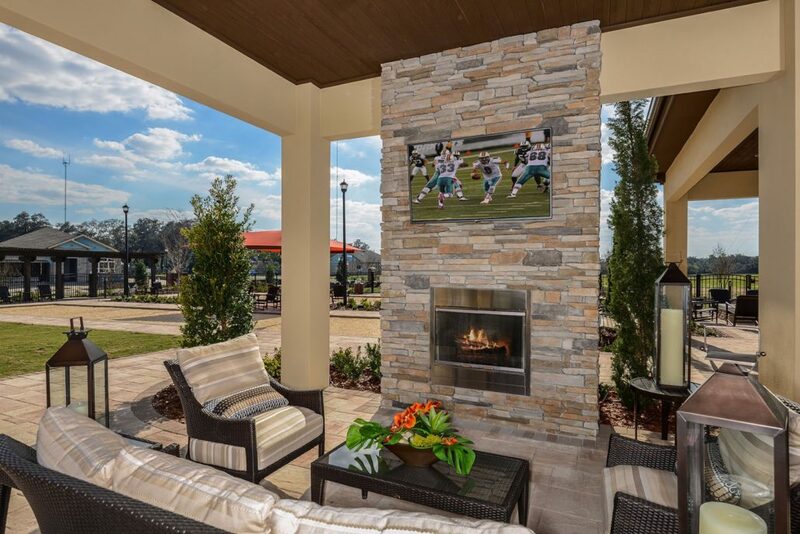 Near the MacDill Air Force Base and the largest ‘green’ community in the Tampa area, Encore at FishHawk Ranch attracts active adults and retirees. 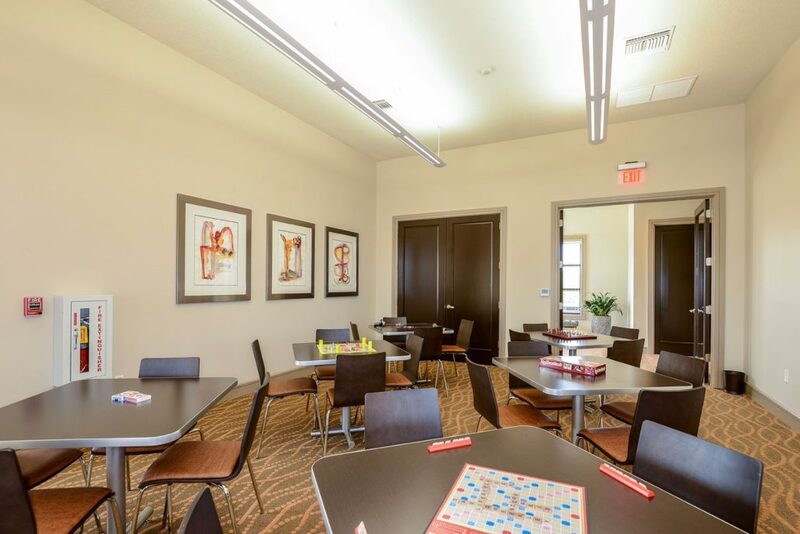 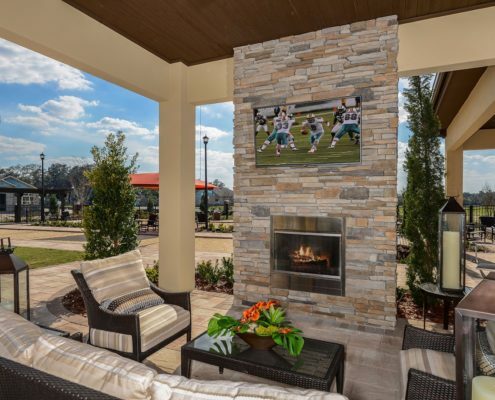 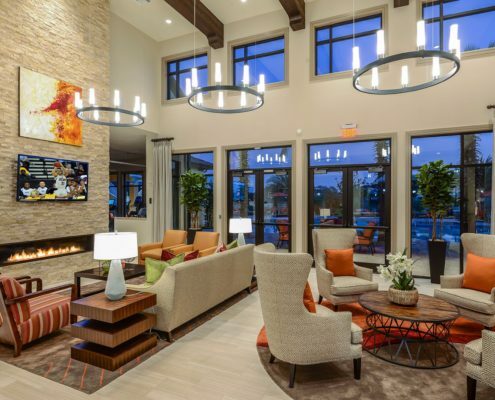 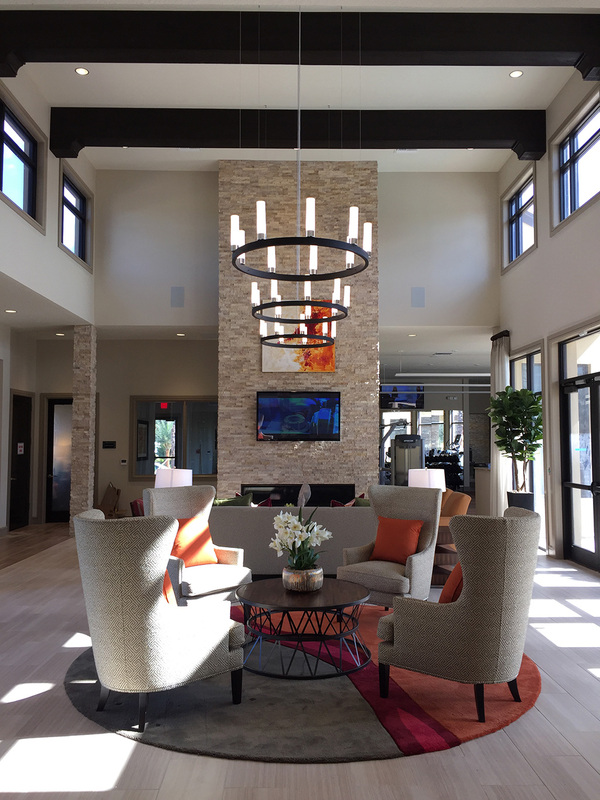 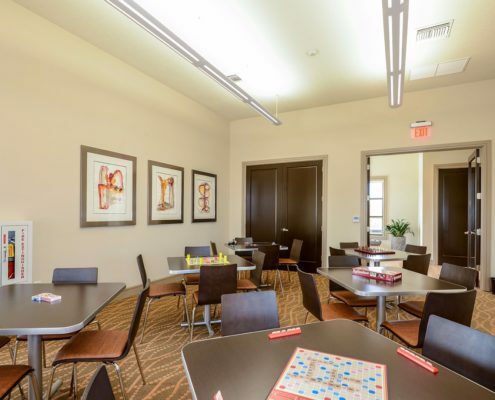 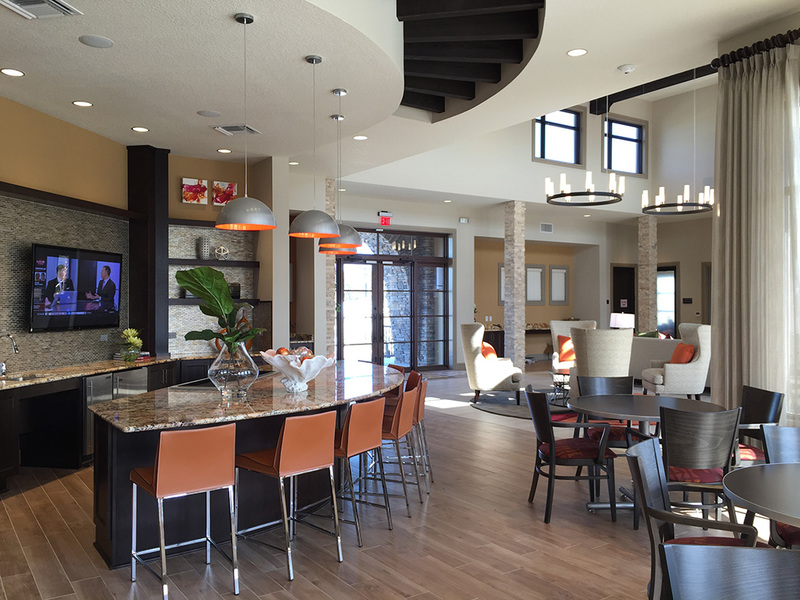 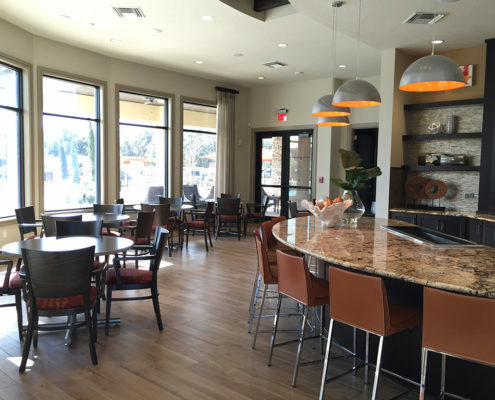 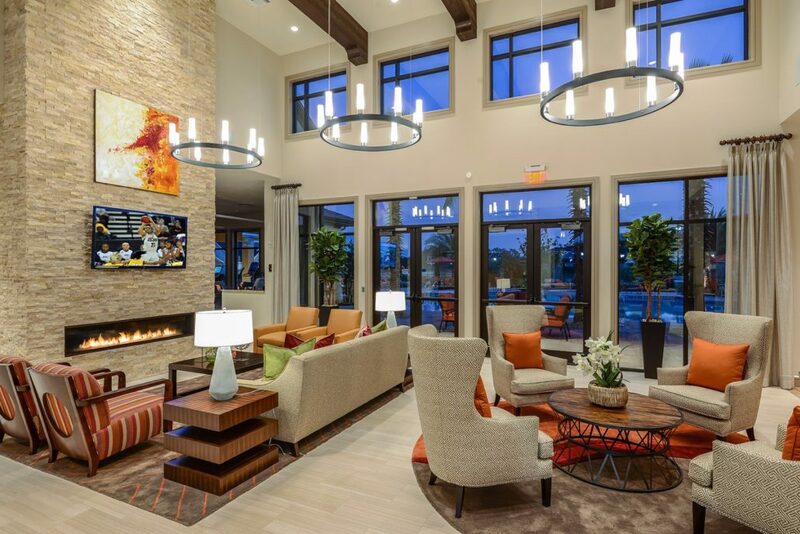 The community center was designed to provide beautiful and accessible amenity areas for lounging, gathering and activities as an inviting incentive for potential homebuyers. 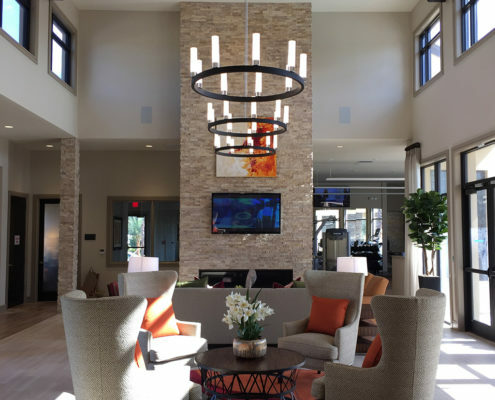 The clean contemporary finishes and furniture, along with the warm color palette make this the perfect spot to entertain family and friends after a day by the pool.